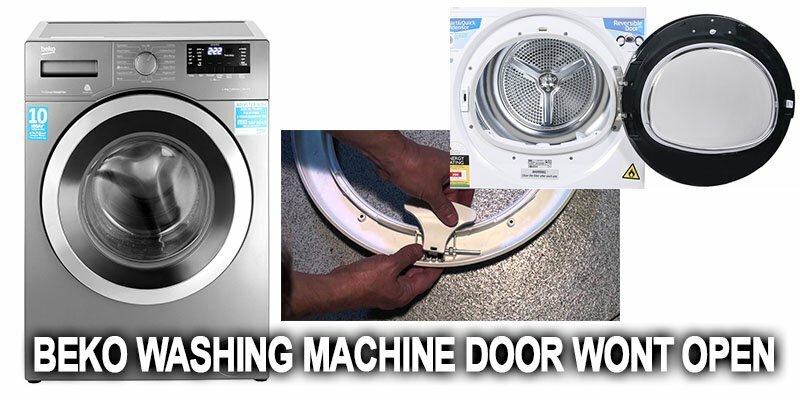 One of the most common problems of washing machines is when the appliance finishes washing program but the owner cannot open the door. Many users try to get to the laundry using muscle force which only exacerbates the situation. Why wouldn’t machines open the doors and how can owners solve this problem on their own? The main causes of such failure have to do with the failure of the device which automatically blocks the door as well as with the failure of the handle itself. If the malfunction is related to the door locking system, then most often this device cannot be repaired and will require complete replacement. In order to replace this part, you will need to remove the top cover, and unscrew the screws that secure the device. This will require you to remove the rim which secures the door and disconnect the right side of the door collar. Put your hand in the hole and unscrew the external screws. Before you take out the lock, remember or rather write down the order in which you disconnected the automatic lock device. Another common reason why a washing machine would not open is a broken handle. The easiest way to solve this problem is to completely replace the handle with a new one. Any door consists of plastic rims that surround a concave glass. The halves of the rims are fixed to each other and the machine itself with screws and special latches. To make your repair more convenient, it’s worth to remove the door from the hinges. Next, unscrew the screws which connect the parts of the rim. After that, carefully detach the halves of the rim from each other. The handle of the washing machine is attached to this half of this rim. Handle has a latch that locks the door. There might be a simpler reason why the door wouldn’t open – a piece of clothes could get into the lock. If such thing happens, do not break open the lock, trying to get to the laundry. 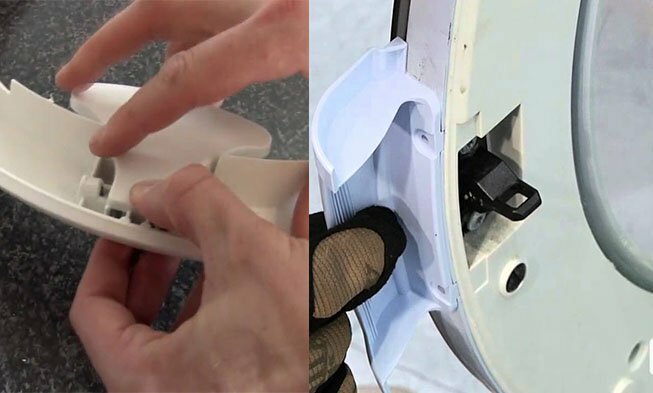 Open the top cover of your washing machine after unplugging it. Find the automatic door locking device and use a screwdriver to remove the hook from it.